Posted June 30th, 2015 by Jessica Garcia & filed under Uncategorized. Once the Salsa music begins, it’s hard to stay in your seat. The rhythmic beat gets your toes tapping, and before you know it, you’re on the dance floor. Even though it looks complicated, it’s only a few simple steps. 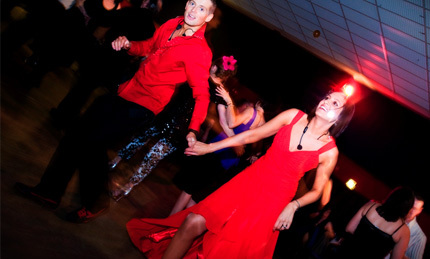 Salsa dancing is tons of fun and great exercise too! When someone says “salsa,” the edible sauce comes to mind. A combination of various ingredients makes it delightful. Salsa music and dance are similar. It’s a blend of many Latin, African, and Caribbean dances: Mambo, Rumba, Guaracha, Cha cha cha, Cumbia, Bachata, Bomba, Merengue, and Son, to name a few. Originating in the 1960s and 1970s, Cubans and Puerto Ricans brought this eclectic style of music and dance to New York, where the name “Salsa” was coined. There are only a few basic steps to Salsa dancing. A set of six steps to eight musical beats are repeated. Watch other people dance, and you’ll learn quickly. Step forward, right foot: one, two, three, pause. Step back, left foot: one, two, three, pause (if you’re following). If you’re leading, start with the left foot stepping back. 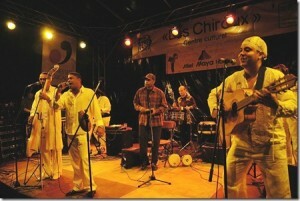 Salsa includes many styles within its dance genre, allowing for much freedom of expression and creative license. The more you learn, the more elaborate you can be. Your whole body moves, from your arms and legs to your hips and torso, as you twirl around with a smile on your face. Next time you want to dance Salsa, consider a Cancun travel tour. 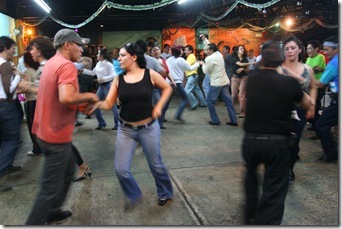 Salsa is just one of the many enjoyable cultural attractions and activities in the Mexico Caribbean. Visit one of these exciting Salsa nightclubs on your next Cancun vacation. Mambo Cafe (Downtown Cancun): located on the corner of Avenida Yaxchilan and Xcaret in Plaza las Avenidas, featuring live bands from Latin America. Yesterday (Downtown Cancun): this is not actually a Salsa club but they feature live Salsa music on Thursdays and Sundays. Located in a strip mall on the corner of Nichupte and La Luna. Vive la salsa! Vive Mexico!